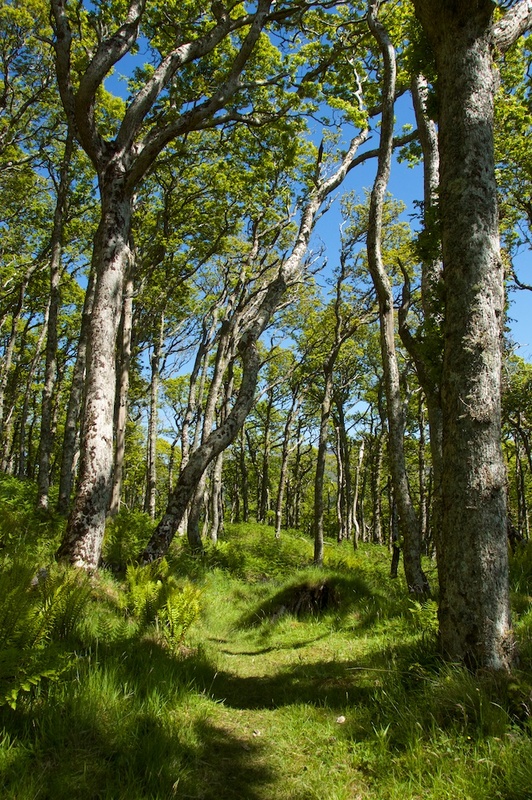 There can be few more magical landscapes than the oak woodlands of the Taynish peninsula in Argyll. 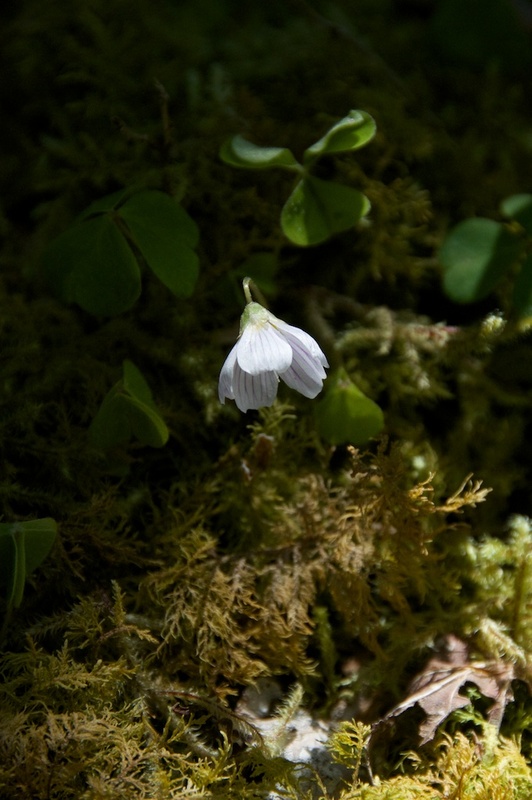 In summer, with the leaves filtering a cool emerald light through to the forest floor, and birdsong all around you, it feels like a sanctuary – enchanted and timeless. 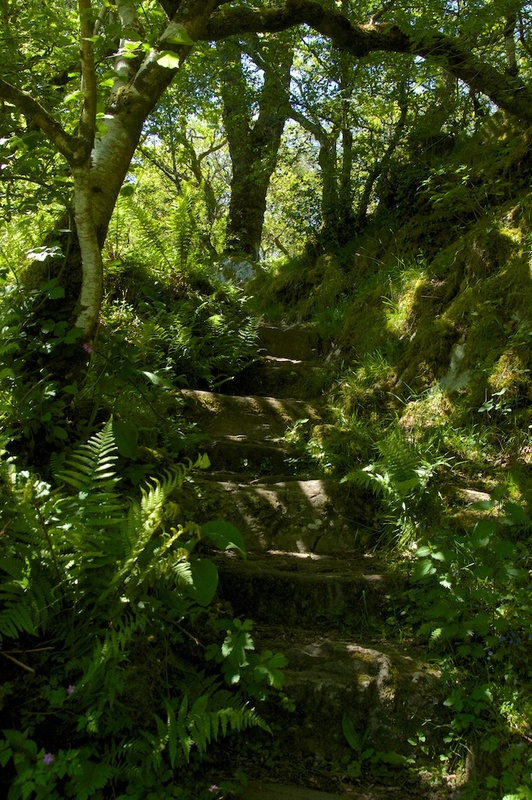 You only have to set foot within the moss-shaded world of Taynish woods to know that they are ancient. 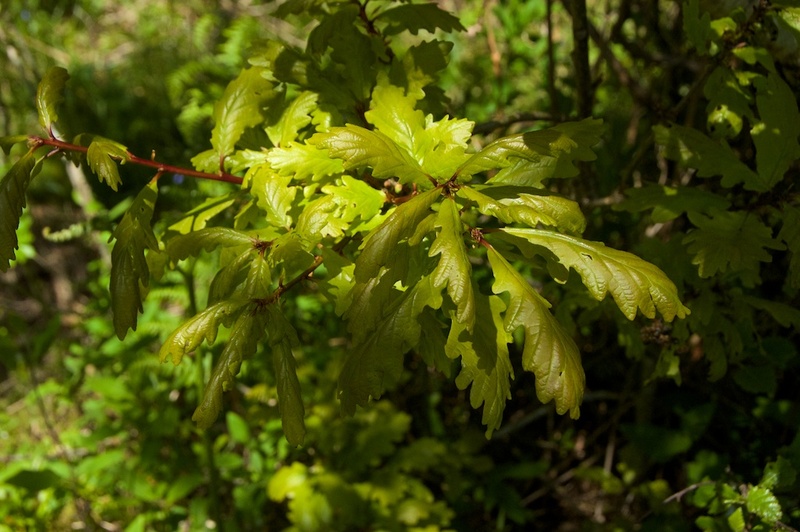 Pollen taken from peat samples has revealed that these oak woodlands have been growing here for about 7,000 years. 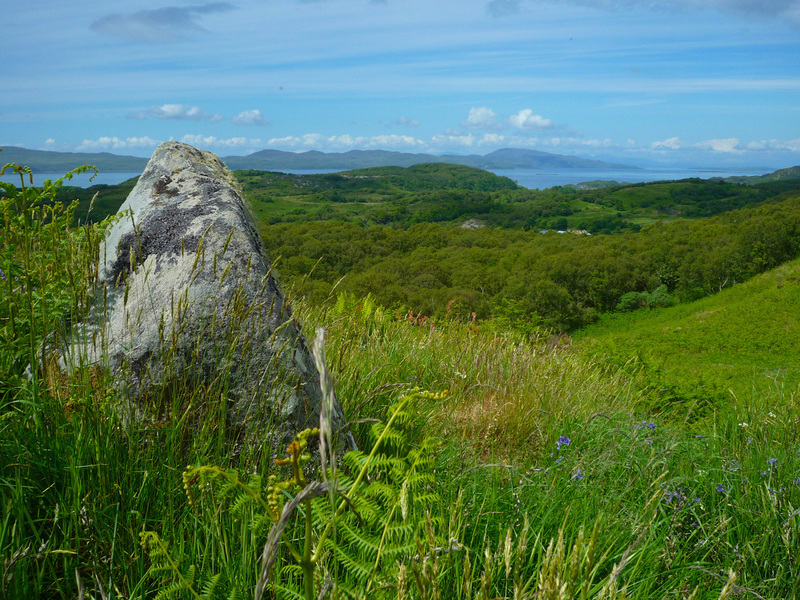 They would have heard the footsteps of the first farmers who settled in Knapdale, those same people who set up the stones of Nether Largie and Temple Wood in Kilmartin Glen, and carried their dead to Dunchraigaig for burial. 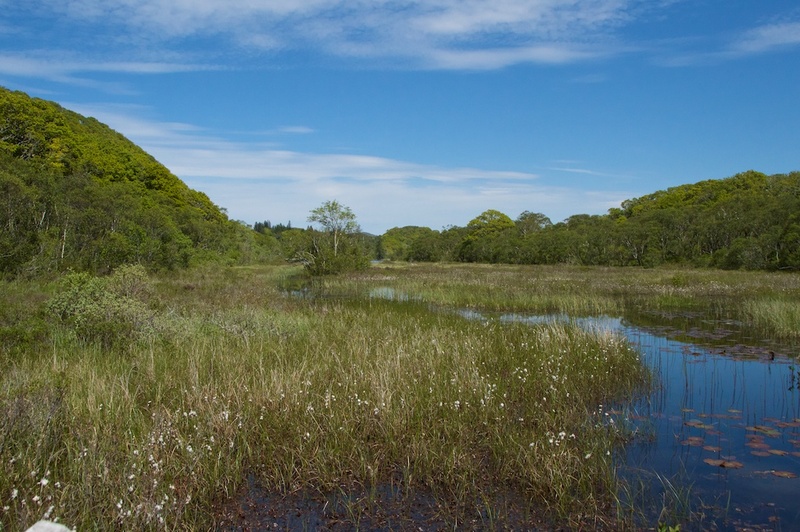 Few landscapes have truly stayed the same over thousands of years, but if one of our Neolithic ancestors came back to Taynish I’d like to think he would recognise it and feel at home. 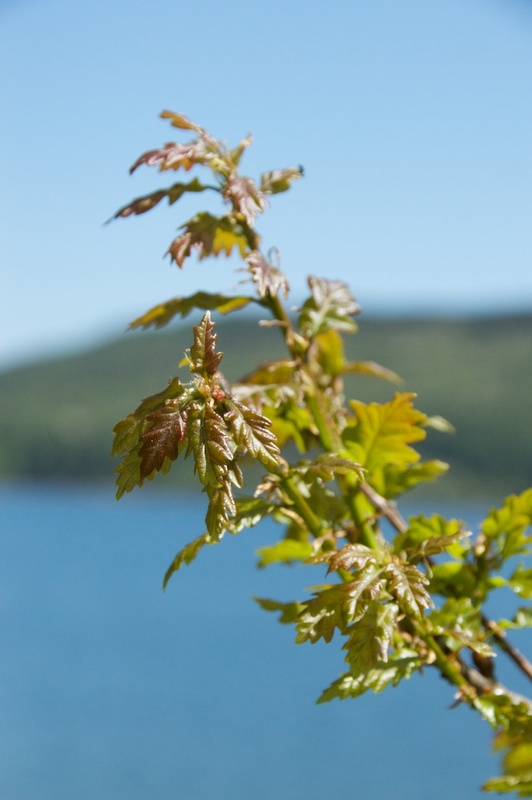 Although oak is the predominant species there is a wide range of other trees, including rowan, birch, hazel, hawthorn, alder and wild cherry. 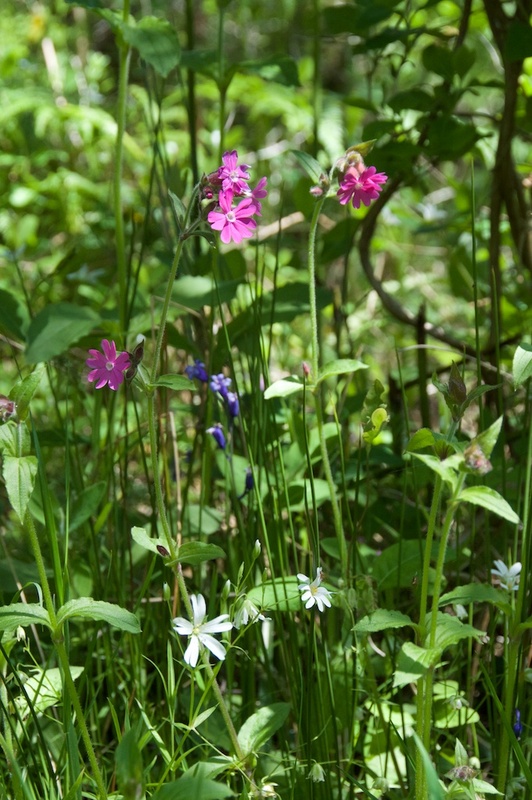 Scottish Natural Heritage is carefully monitoring the encroachment of non-native species such as sycamore, lime and rhododendron. 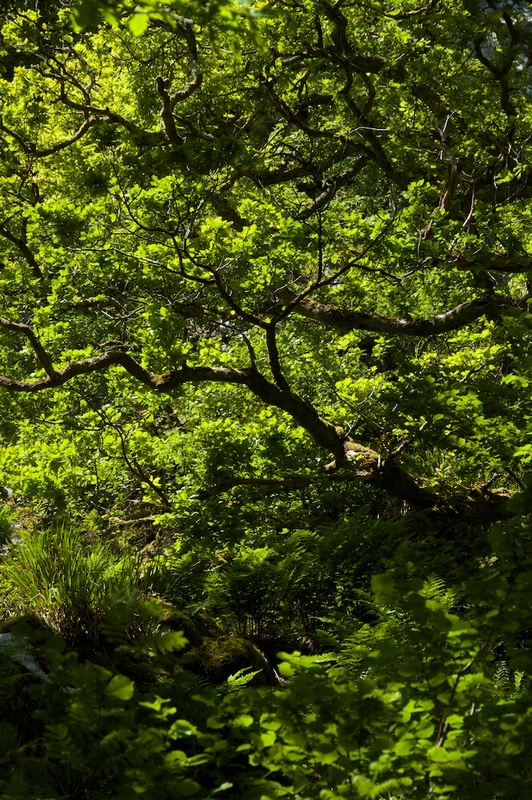 With water all around and wildlife in abundance the woods are rarely silent, but a deep feeling of peace settles on you as you walk beneath the canopy. 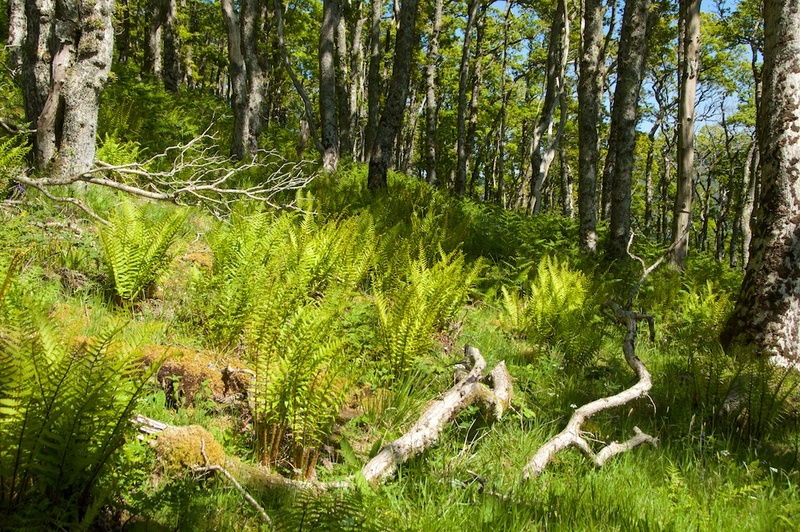 Taynish woods were the focus of some unexpected industry in the early 19th century, when the Napoleonic wars created a keen demand for iron and leather. 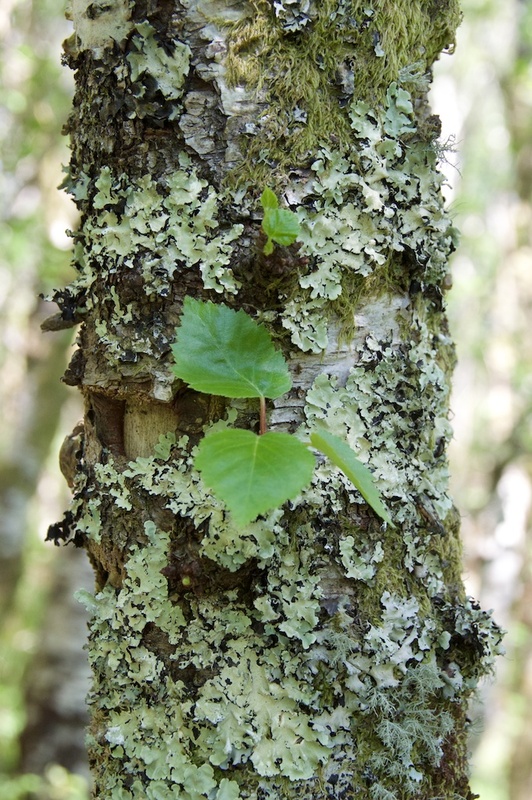 Oak bark was used for tanning hides, and charcoal fuelled the iron furnaces; both of these processes took their toll on the woodlands, and trees were coppiced to encourage the quick growth of new branches. 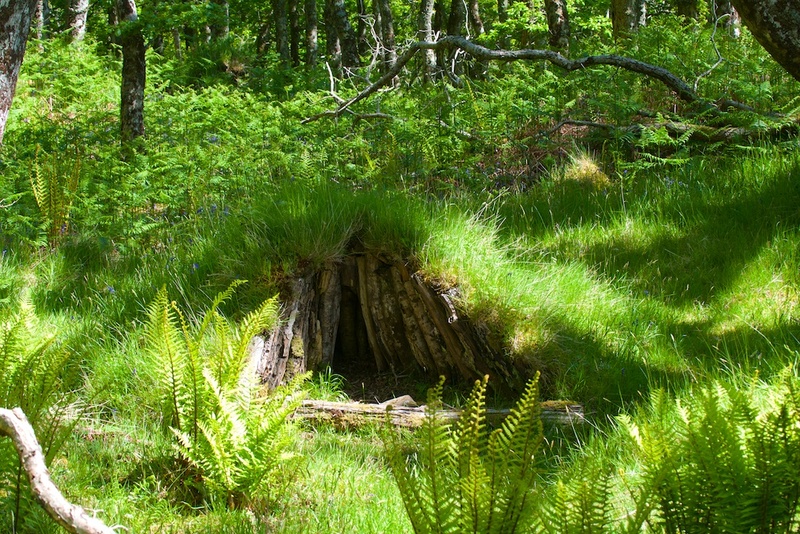 Dotted around the woods are old charcoal-making platforms, where stacks of logs were covered in turf and then burnt to produce charcoal. This was shipped to the iron furnace at Bonawe on Loch Etive. The industry flourished until 1876, when the furnace was closed down. 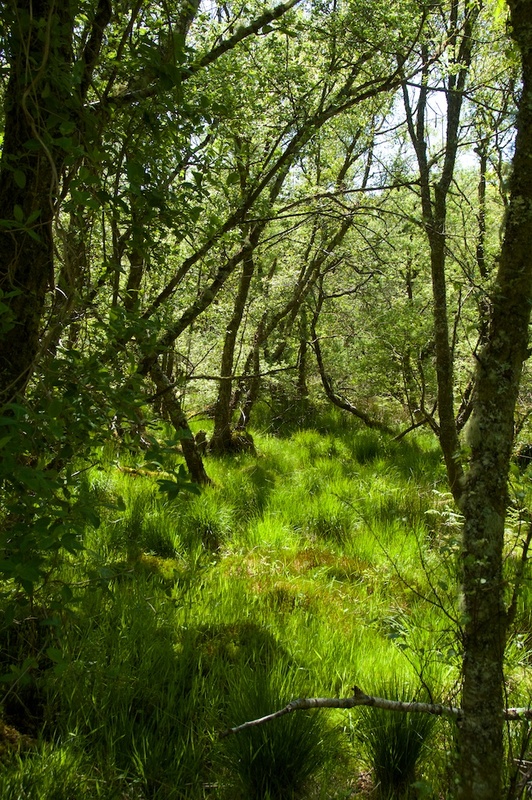 There’s a good reason for all the lush foliage: Taynish receives over 60 inches of rainfall every year, and the mild, moist air allows mosses, lichens and ferns to thrive. 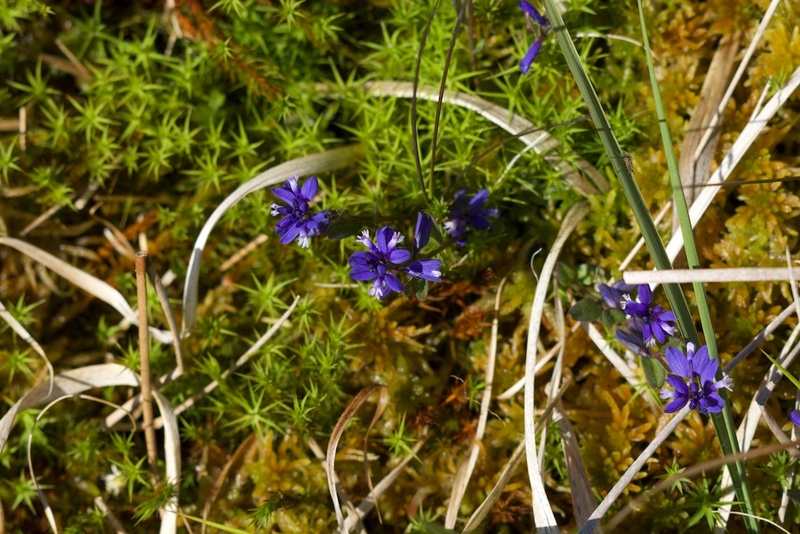 A quarter of all Britain’s bryophyte species (mosses and liverworts) are found here, and about 500 species of lichen; the woodlands also support 300 species of wild flowers, and a whole host of dragonflies, damselfies, butterflies, moths and beetles. 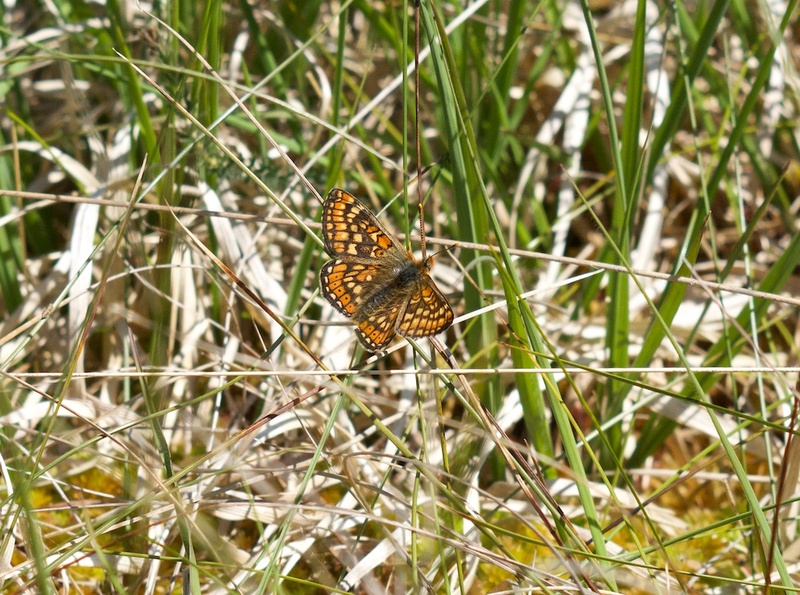 Taynish is the northernmost stronghold of the marsh fritillary, one of Europe’s most threatened butterflies and the only British butterfly protected by European law. 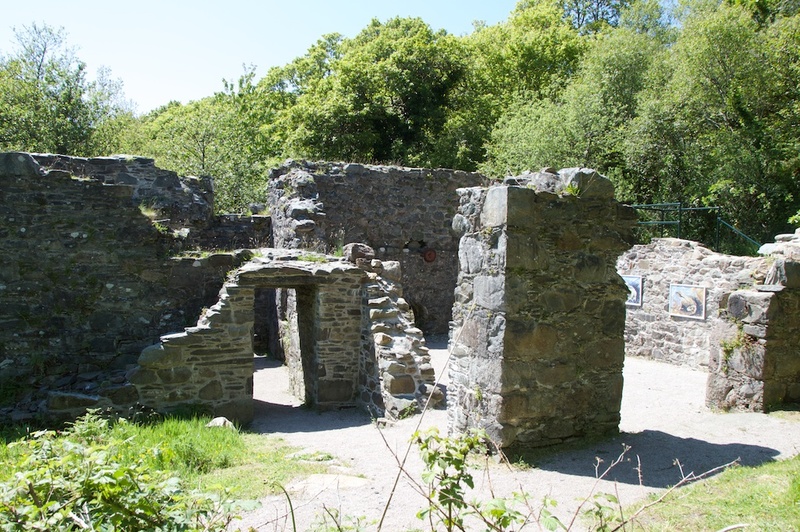 Taynish water mill was built around 1720 and for 150 years it was used to grind the grain produced by the farmers who lived around Loch Sween. The ruins stand in a little clearing, beside a clear-flowing burn. 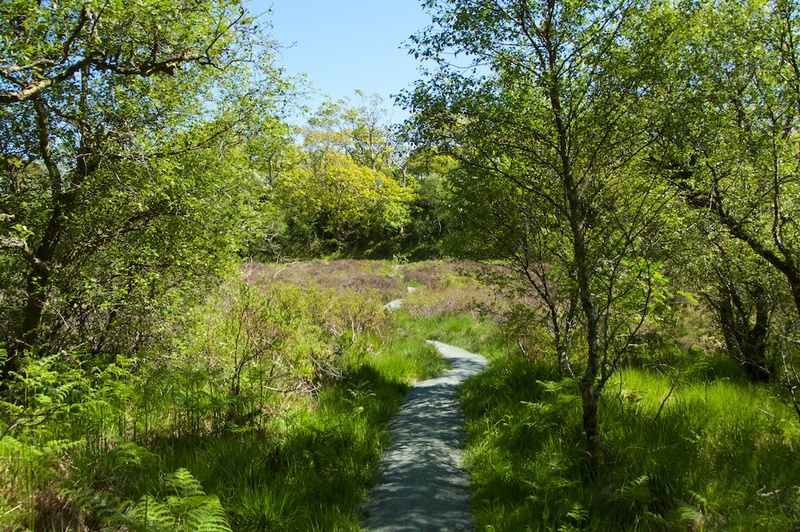 Knapdale is a landscape of low rocky hills or ‘knaps’, and at Taynish the woodlands give way to clear hilltops where you can rest for a while and drink in the glorious views. 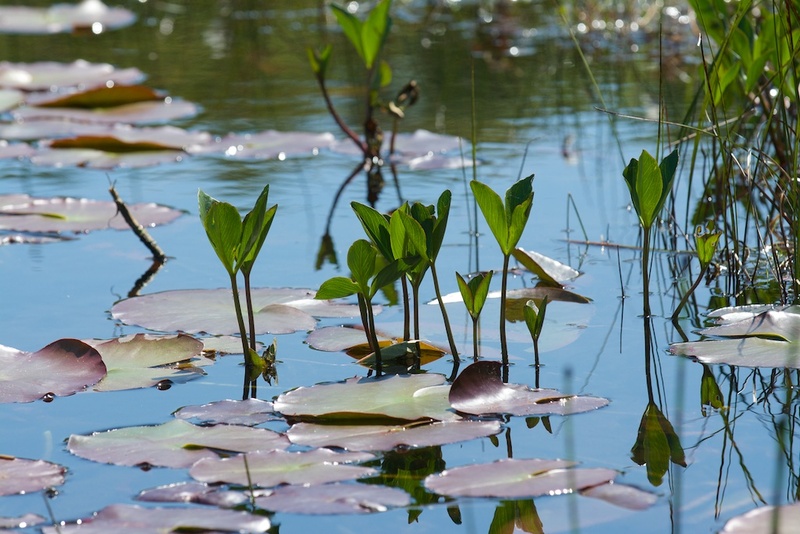 There are about 500 acres of woodland, with areas of salt marsh and fen meadows. 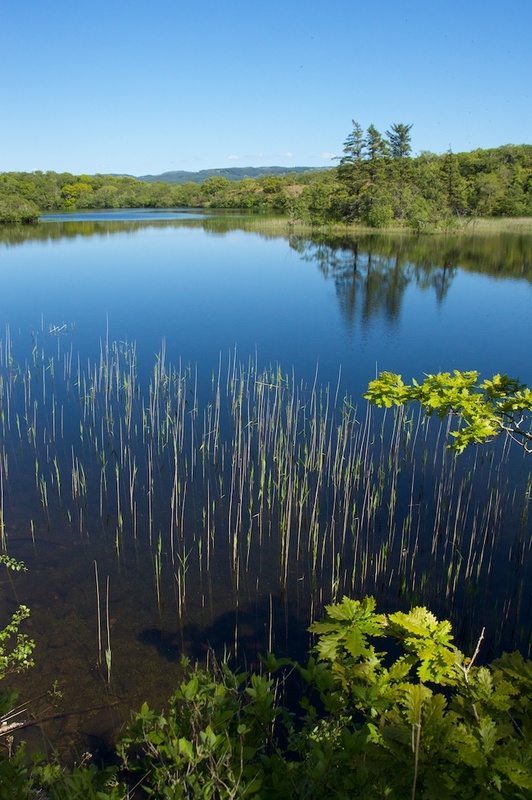 In summer, the reedy fringes of Lochan Taynish are literally buzzing with the neon colours of dragonflies and damselflies. 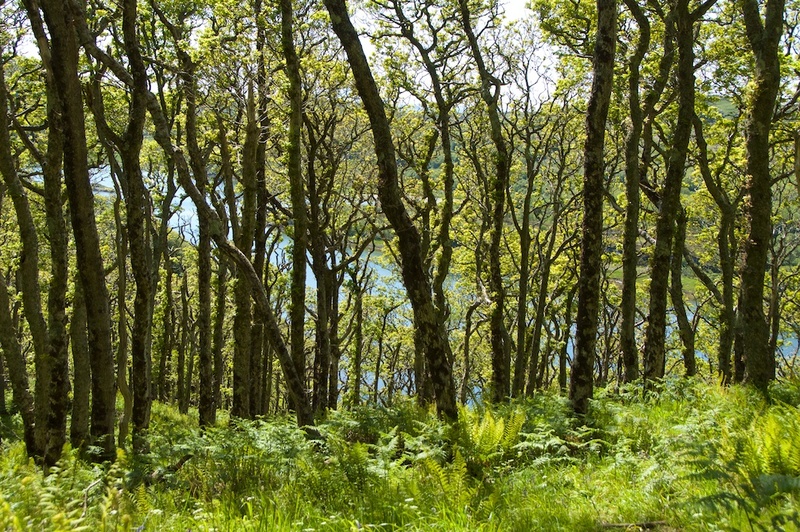 You’re never far from water, and from some of the paths you can catch the sparkle of Loch Sween through the trees. The walk past the Mill brings you out on the rocky shore, where a burn bubbles its way happily into the loch. As you listen to the oystercatchers’ piping calls, keep an eye open for otters, which are often glimpsed here. 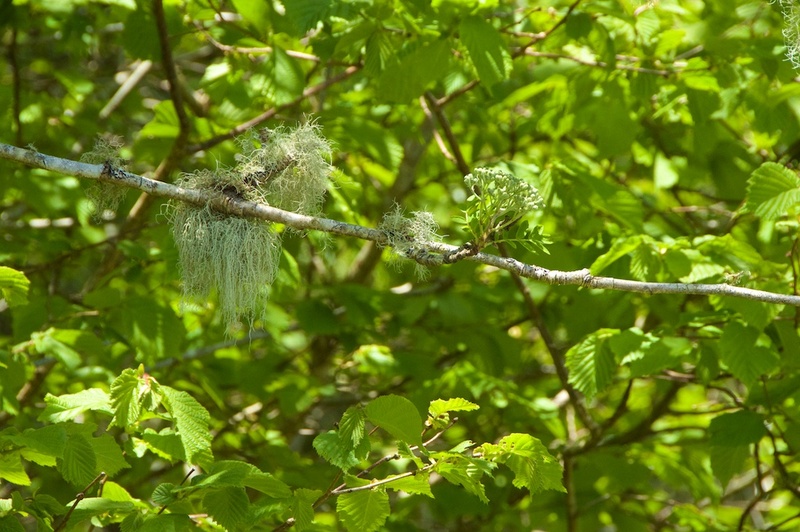 As for the woodland birds, in mid-June we saw – or heard – warblers, chaffinches, robins, blackbirds and thrushes; I watched a great spotted woodpecker at its nest hole, but it became agitated at the sight of me even at a distance, and I retraced my steps to leave it in peace. Taynish is situated about one mile south of Tayvallich. 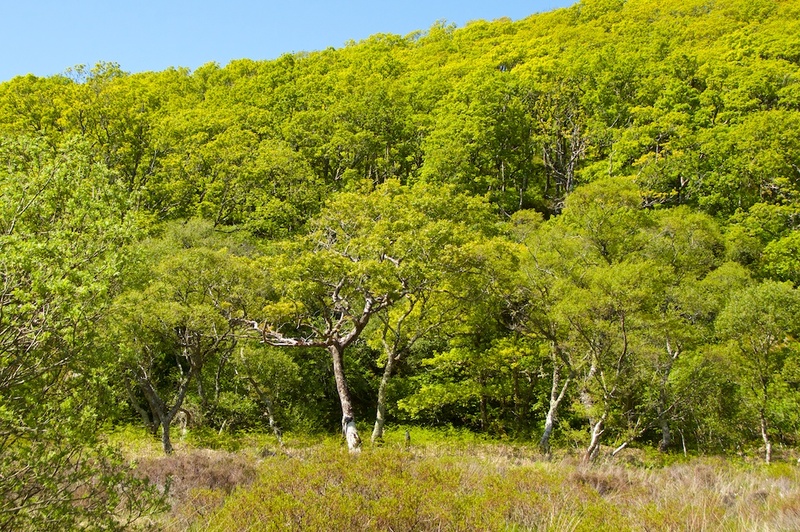 The woodlands are a National Nature Reserve, managed by Scottish Natural Heritage. It’s open all year, and admission is free. heard of that before. Photos are superb as usual. Would love to visit there sometime. Thank you, Moira. I was interested to find out about the charcoal-making, too. I had never seen those burning mounds in a wood before. It looks an enchanting place, and your photographs are so beautiful. Thank you, Jessica! It is really beautiful, off the beaten track, and the views are amazing too. I love that part of Scotland. Jo, I think this is my favourite post of all your wonderful trips. Wow, thank you, Viv! That is a great compliment. So glad you enjoyed it – Taynish is a very special place. That sounds good! Yes, it’s just so peaceful, like a little time capsule. Such a special atmosphere. Nice post Jo. You enjoyed a great day, thank you for taking us along. Again it also shows that despite today’s tranquil scene it also had industrial links in an earlier life, It is hard to believe just how wide our population spread across these isles prior to the migration to hot spots we call cities in search of progress!. You’re welcome, David, and thank you. That’s very true about the population and how it has changed. Taynish must have been much more populated at one time, especially in the late 1700s. Envious. You are living the life and sharing it as well. Thanks. 🙂 We are so very lucky! Thank you – it’s a pleasure to share photos of such places, and to write about them. What a magical place, and wonderful photographs! 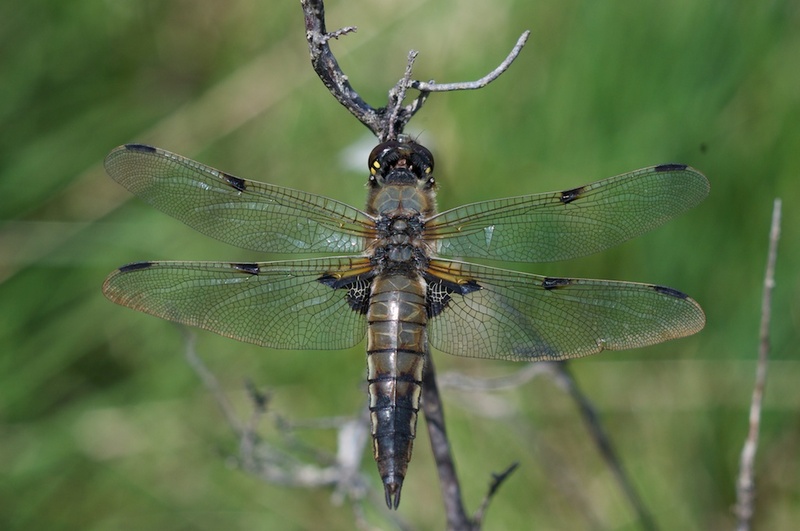 I especially love the lizard and the marsh fritillary (which looks as though its wings are made of stained glass). I love the Argyll coast and can’t wait to go up there again in September. Thank you, Caroline! 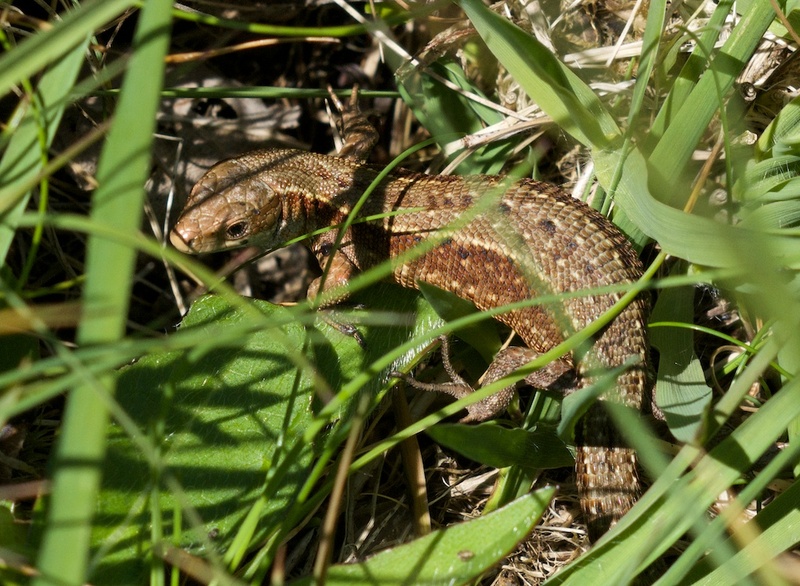 The lizard was a real find – Colin was very pleased! 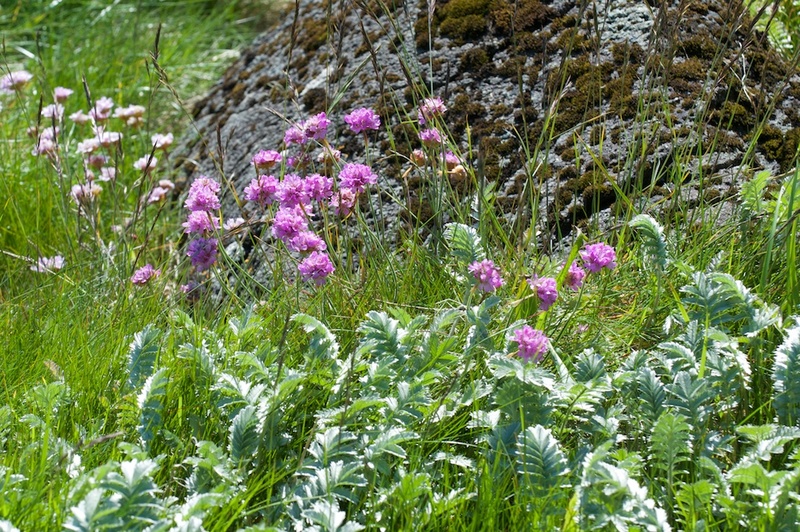 And the butterflies are lovely – in fact we think we saw one even further north recently, near Oban. 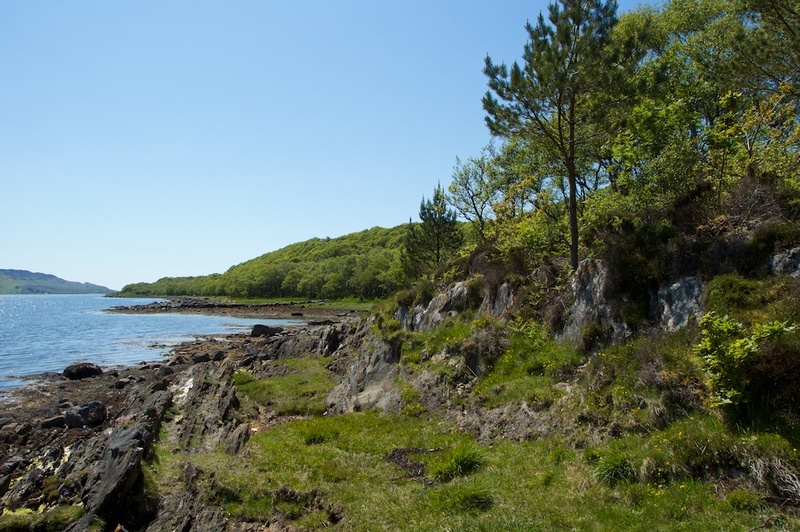 There’s something about the coast of Argyll – it keeps drawing us back, and there’s so much of it. 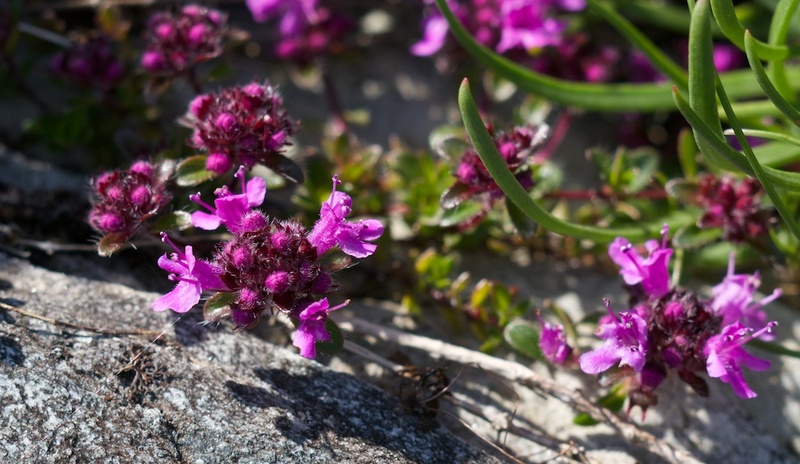 September is a fantastic time to visit! We’re on our way north in August, and now I’m champing at the bit! 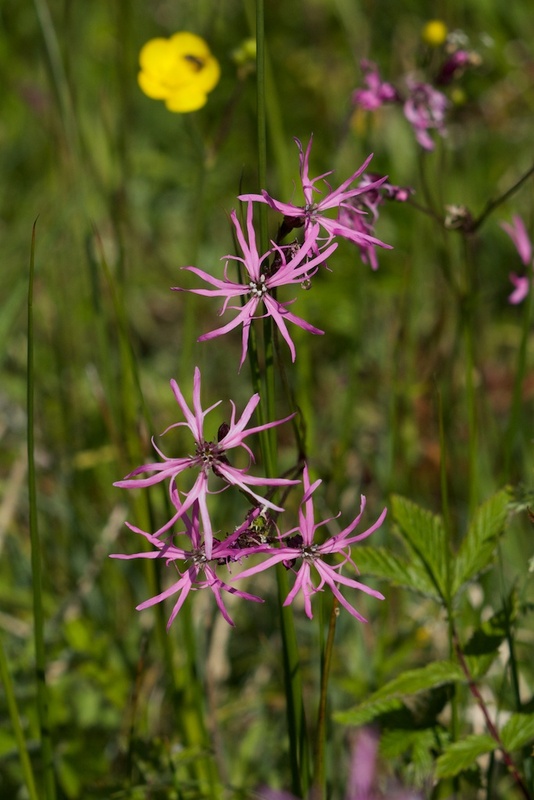 Wonderful photography Jo, just a few more weeks to get through! Wonderful photos, Jo, I feel refreshed after looking at them. 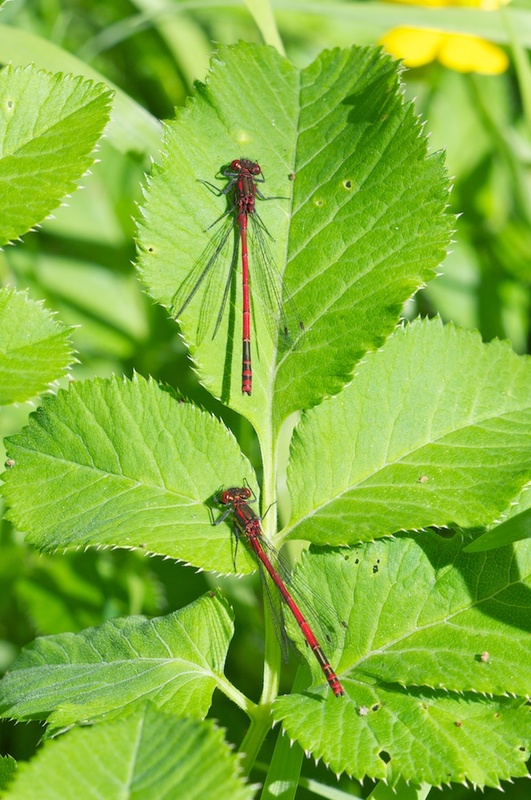 Those red damselflies are superb, I don’t think I’ve ever seen any that colour before. Thanks, Lorna! Taynish was a lovely place to visit and to write about. How nice it would be to sit in that cool shade right now! 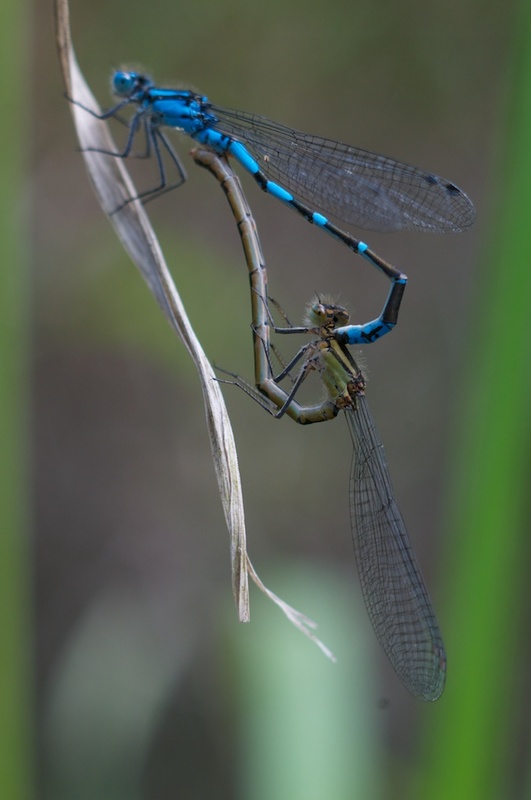 The damselflies are brilliant – almost fluorescent. What wonderful photos Jo. It looks a truly magical place. I hope the Taynish Tourist Board appreciate your assistance! 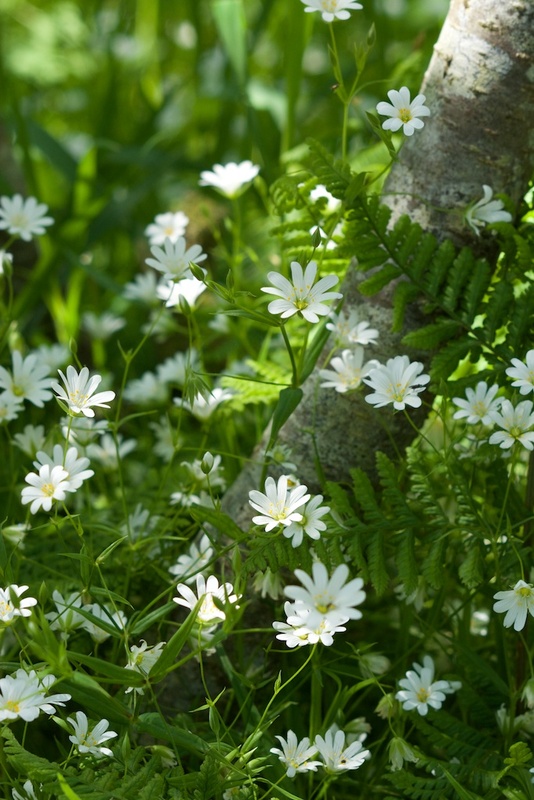 There just has to be fairies in that wood! Wonderful pictures Jo. I am especially fond of dragonflies. That one is a beauty. Yes, I thought so myself! 🙂 In fact the dragonflies look very much like fairies. Thank you, Pat! Wow! So green and lush. Beautiful. I know, it’s beautiful, Susan – there’s an upside to all the rain! 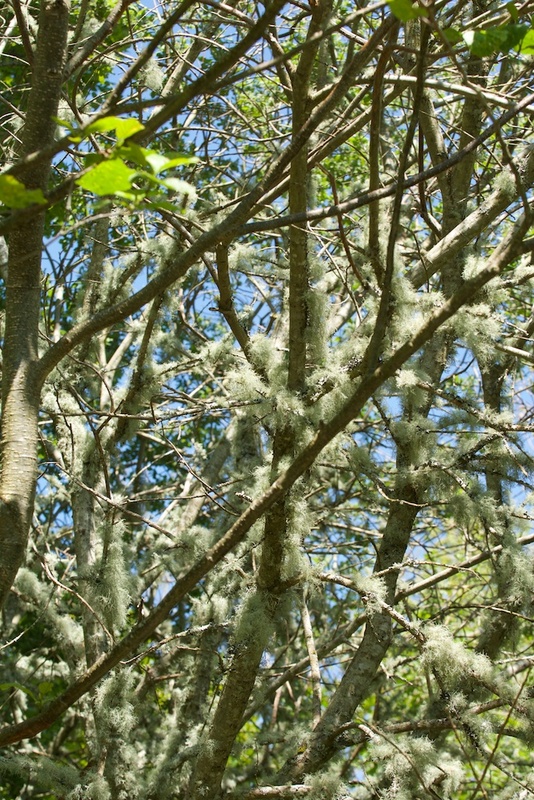 You can tell how clear the air is too, with all the lichen.